Where can I find the duvet cover or comforter? Did my monies go here? Does the faux paint technique behind bed & ceiling use a light color base coat of paint than a couples shades darker colored glaze plus untinted glazed used to create the effect? Is this a faux silk tecqhnique? Yes it looks like whats called an interference gold/silver base. RL makes some nice colors but they are hard to get an even appearance for a stand alone finish. Always best to use them in some kind of broken color technique, much easier and faster. 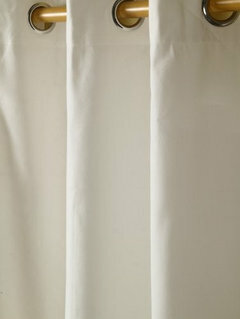 curtains - My room looks very similar to this. Where did you get the curtains from? Thanks. these ones in cotton material. Where does the light fixture come from? Any idea where this light fixture came from? You can buy it through us directly. lighting - could you share where you purchased the semi-flushed chandelier? Thank you! This is another fabulous way to create interest up above by using molding. Notice how the glossy paint finish allows light from the chandelier to reflect off of the ceiling, which creates a beautiful sparkle. 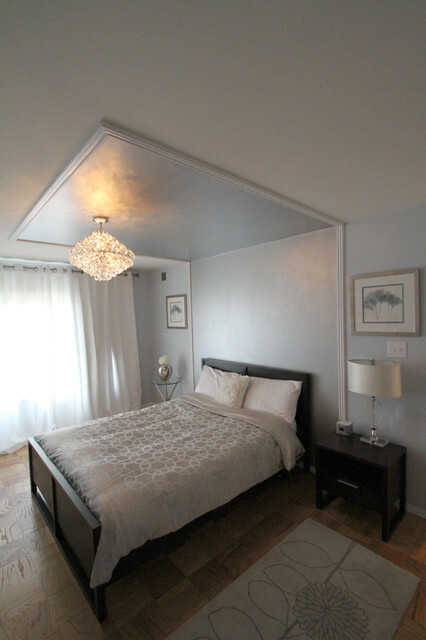 Kristina - something like this built in panel with metallic paint I adore/ SARAH- We had a metalic silver wall in our last home, so maybe not metallic paint on a wall, but on a ceiling, with lighting...could be interesting.